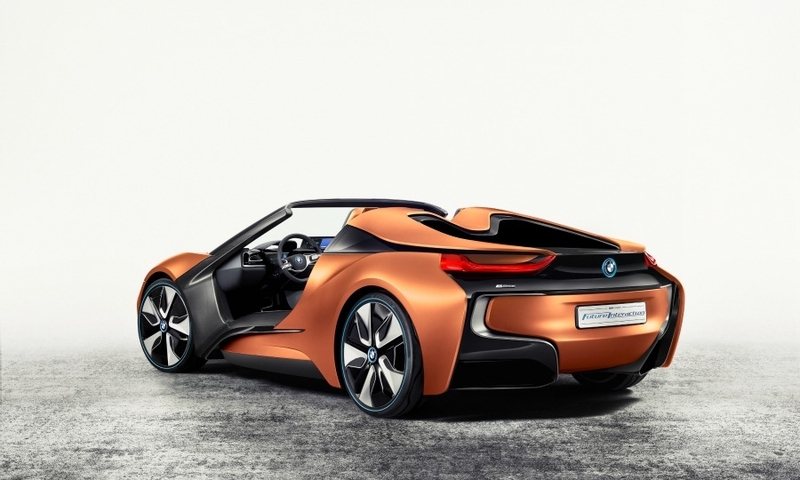 LAS VEGAS -- BMW previewed a roadster version of its i8 plug-in hybrid sports car with the Vision Future Interaction concept car. 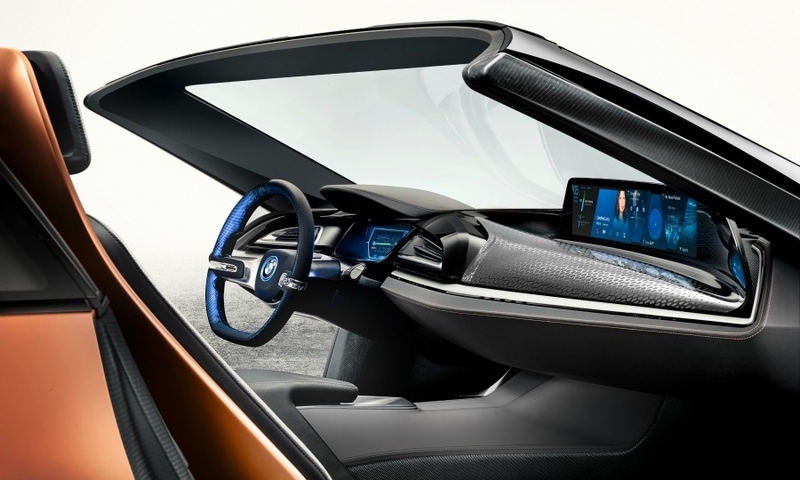 Unveiling the concept at the Consumer Electronics Show here on Tuesday, BMW development chief Klaus Froehlich said: "I think BMW should build it as soon as possible." 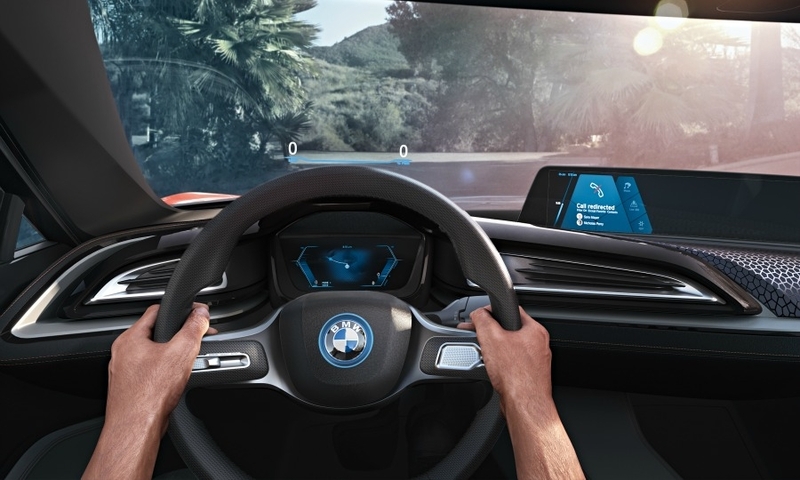 BMW said in a statement that the concept provides an outlook on the networked cockpit and the user interface of the future. 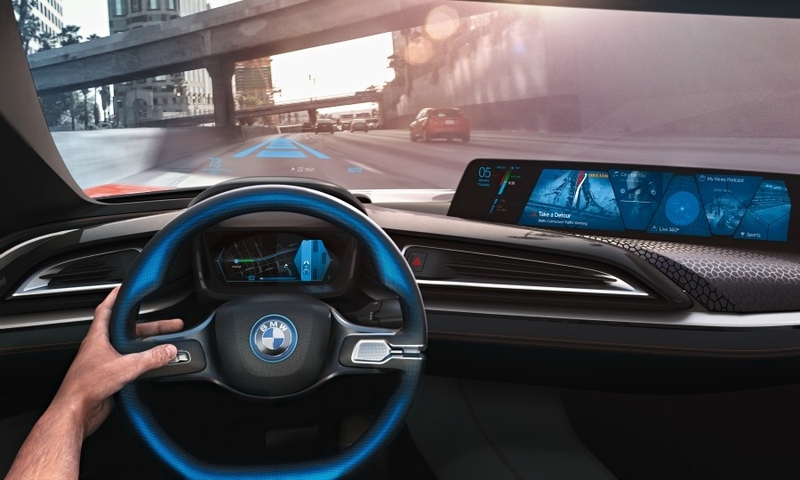 Features include autonomous driving control innovations and advanced function control with gestures, touch-sensitive surfaces and voice control. The driver can exit the car which will then park itself. 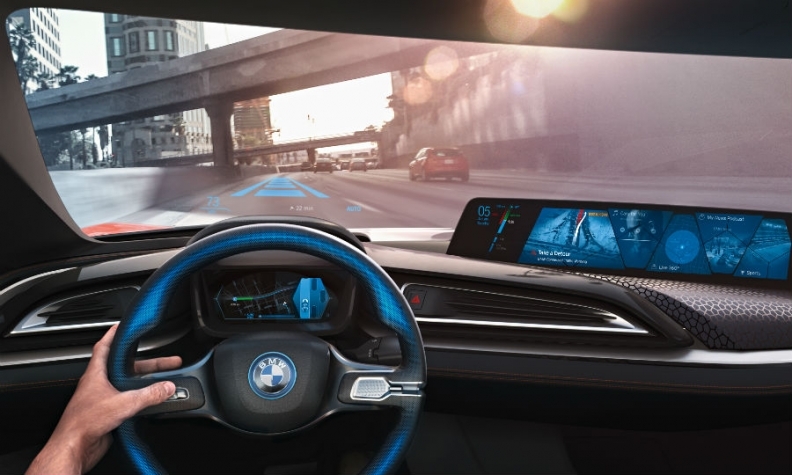 The driver can get information through a head-up display, an instrument cluster with three-dimensional display and 21-inch panorama display that extends across the top of the dashboard. 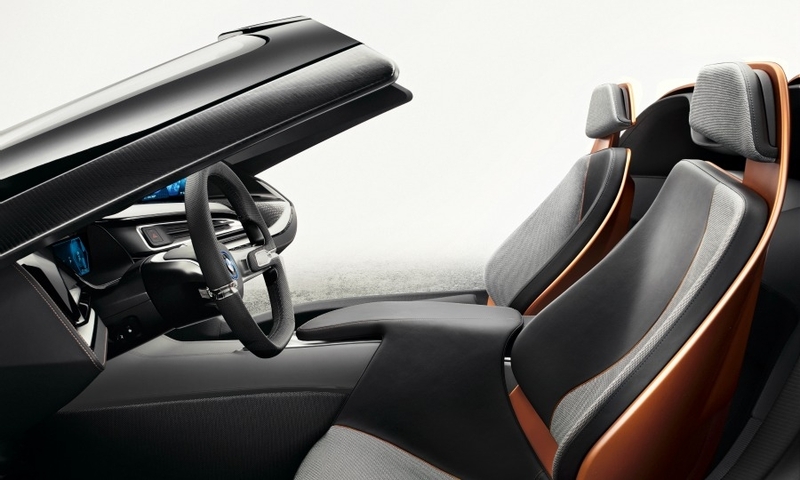 The concept has a 21-inch panorama display that extends across the top of the dashboard. 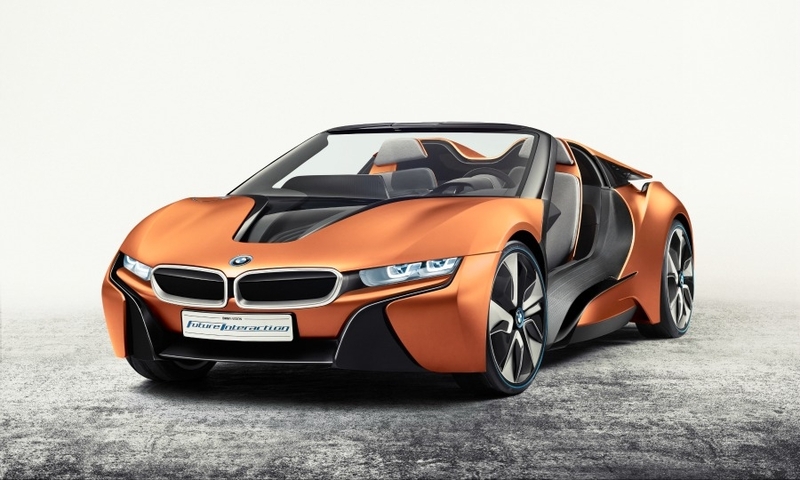 BMW launched the i8 coupe in 2014. 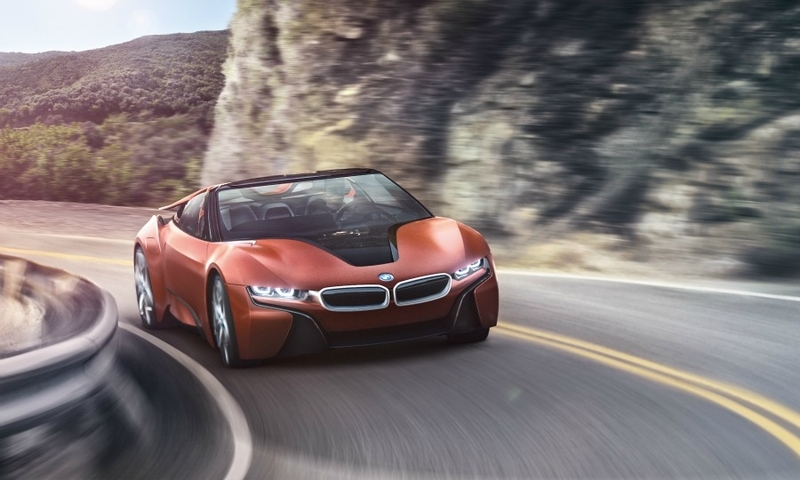 The car is powered by a turbocharged 1.5-liter gasoline engine and electric motor. 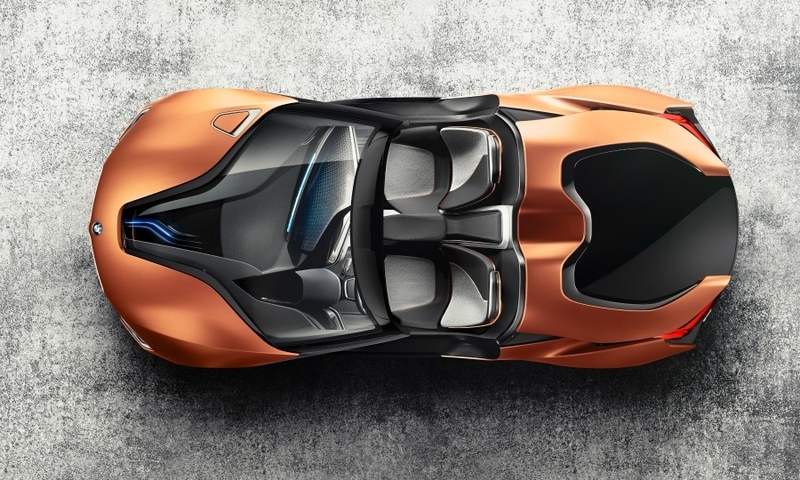 It has an electric driving range of 35km (22 miles) and CO2 emissions of less than 59 grams per kilometer under the EU test cycle for plug-in hybrids. 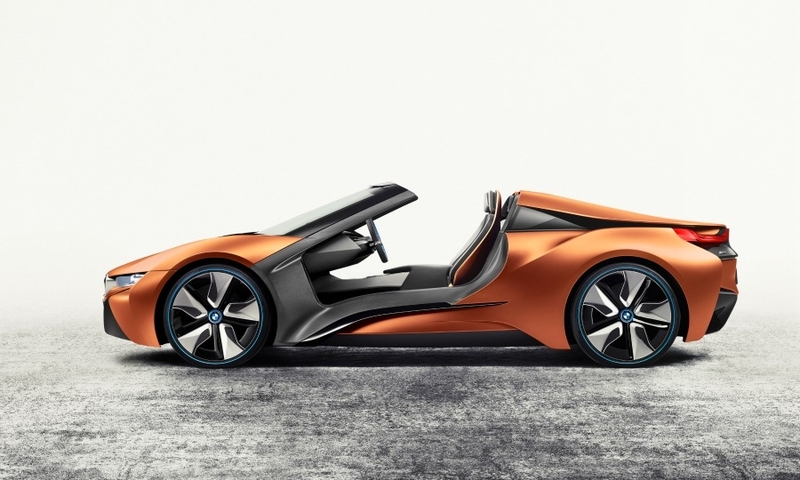 Froehlich declined to comment of the drivetrain for a potential roadster version.